Kitty Rambles A Lot: I'm nominated for 2 British Plus Size Awards! On Wednesday night I was sat watching the Wales match with my Grandad and I got a message from Tanya of Secret Plus Size Goddess wishing me congratulations. I had no idea what for so went to investigate! Logged into twitter to discover my notifications were rather a lot higher than usual and then I discovered why. I've been nominated for not one, but TWO British Plus Size Awards!! To say that was unexpected is one hell of an understatement. I'm so excited and honoured. 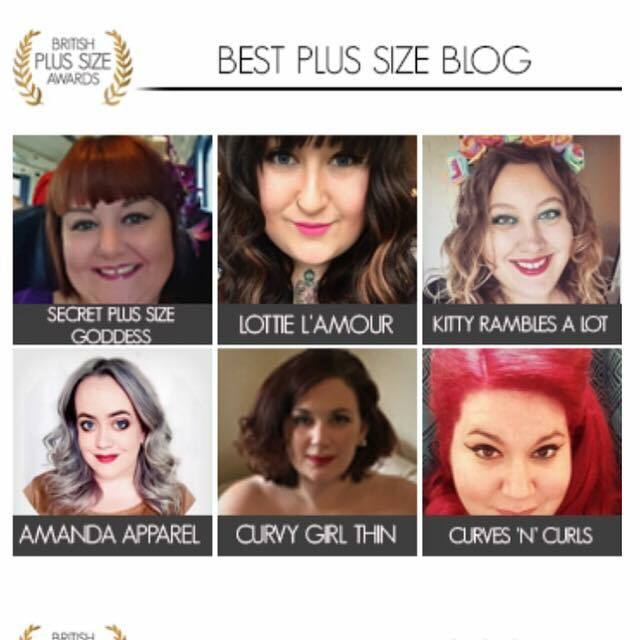 The first catergory I'm nominated in is 'Best Plus Size Blog', and when I saw my competition I was even more excited. I literally adore all of them! Such a privilege to be among so many inspiring babes. I love all of the other nominee's blogs, and think they are fab human beings, so I cannot wait to see who wins! The other category really surprised me. 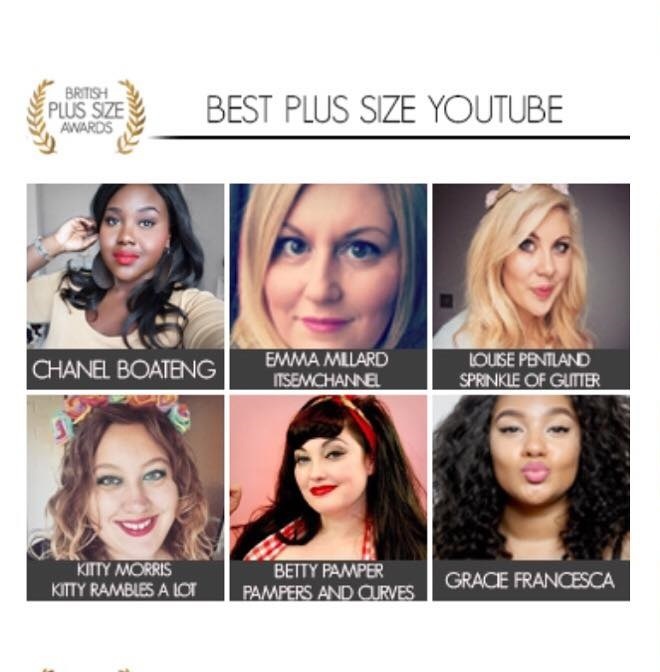 Best Plus Size Youtube. My Youtube channel is definitely more neglected than it should be, and this is totally the kick into gear I need for it! I'm nominated along size some huge Youtubers, I'm wearing a dress Sprinkle of Glitter designed as I type! So just wow. So completely unexpected. So, how to vote! It's super easy, just follow the link below, select your faves (Kitty Rambles A Lot in Best Plus Size Blog and Best Plus Size Youtube if you want to vote for me), enter your email address, 2 random numerical digits, and confirm. Easy! 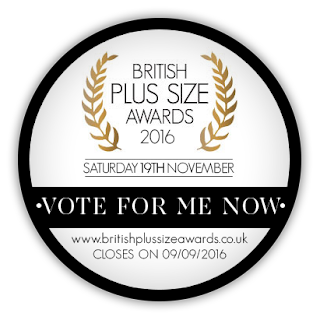 I'm nominated alongside so many of my faves, so please do have a nosy and vote in every category! I wish the nominees were more diverse, more POC, more older bloggers, more disabled, more bloggers who don't fit the plus size beauty standards. I'm so excited for the actual awards ceremony, what a great excuse for some glitz and glamour! And any time I get Stu in a suit is awesome by me. I saw this yesterday - congratulations! I ended up having to compromise and giving my blog vote to Amanda and YouTube vote to you since I adore you both. Best of luck!